BRIEN, JEAN-BAPTISTE-HENRI, physician and Patriote; b. 1816 in Saint-Martin (Laval), Lower Canada; d. 1841 in New York, supposedly unmarried. 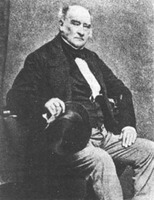 Jean-Baptiste-Henri Brien came from a farm family, and after attending the Petit Séminaire de Montréal from 1827 till 1833 he went into medicine. He took his training with Dr William Robinson of Saint-Vincent-de-Paul (Laval), and then with Dr Charles Smallwood* of Saint-Martin. Licensed to practise in the autumn of 1837, Brien went into partnership with Jean-Baptiste Trestler, a physician in the parish of Saint-Laurent. On 5 Sept. 1837, when the Fils de la Liberté [see André Ouimet*]was founded in Montreal, Brien was among the youngest of its members. In mid November he went to Saint-Eustache, where armed resistance was being mounted against the government’s policy of arresting Patriote leaders, but he does not seem to have taken part in the battle thereon 14 December. At the end of the month, along with Étienne Chartier*, the, parish priest of Saint-Benoit (at Mirabel),and Jean-Baptiste-Chamilly de Lorimier, younger brother of Chevalier, Brien fled to the United States. 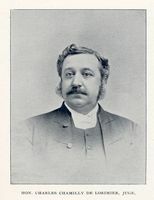 Brien lived first at St Albans, Vt, moving later to Plattsburgh, N.Y. He attended a meeting in Swanton, Vt, on 9 Jan. 1838 at which Robert Nelson*, Cyrille-Hector-Octave Côté, and Chevalier de Lorimier put forward a proposal to return in force to Lower Canada. 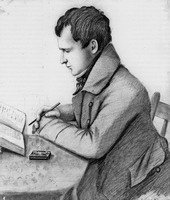 Brien worked on getting ammunition ready, particularly in Plattsburgh, and on 28 Feb. 1838 participated in a raid on Caldwell’s Manor, near Missisquoi Bay, during which Nelson issued a proclamation announcing the independence of Lower Canada. At St Albans shortly afterwards he was initiated into the secrets of the Association des Frères-Chasseurs and the plans to coordinate an invasion from the United States with an uprising in the colony. Brien stayed in Montreal during the summer of 1838, and then went to live at Sainte-Martine. His task was to work towards an uprising in Beauharnois County. A general insurrection was planned for the week of 3 November. That night the insurgents in Beauharnois seized the arms held by the quartermaster of the local volunteers, took seigneur Edward Ellice*’s manor-house, and captured some prisoners, including Ellice’s son and daughter-in-law. Brien himself would take them to Châteauguay. He more than other leaders (for example, Toussaint Rochon, a blacksmith in Beauharnois, and Joseph Dumouchelle, a farmer from Sainte-Martine) treated their adversaries with such delicacy that he was suspected of being on both sides. In actual fact, on returning to Sainte-Martine on 4 November he decided to abandon everything and flee to the United States. He persuaded a farmer and a merchant from Sainte-Martine to accompany him, but at nightfall the two turned back. The next day Brien, now alone, was taken prisoner by the Russeltown (Saint-Chrysostome) volunteers. It is thought that Brien agreed, possibly at the suggestion of the younger Edward Ellice, to make a complete confession in order to save his life. 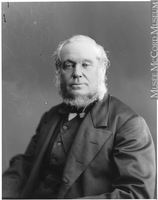 Attorney General Charles Richard Ogden* issued instructions on 16 Nov. 1838, when Brien was being held in the Montreal jail, that no one was to communicate with him. Two days later Brien signed a long declaration disclosing the activities of the fugitives in the United States, the Frères-Chasseurs’ regulations and plans, and what had taken place at Beauharnois and Sainte-Martine. This document was compromising for several people, among them Chevalier de Lorimier, who would share Brien’s cell and would be hanged on 15 Feb. 1839. 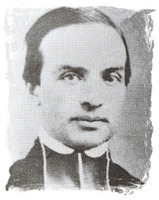 According to Louis-Joseph-Amédée Papineau’s diary, Jean-Baptiste-Henri Brien was seen in New York in the summer of 1840 and died there in 1841, after taking a trip to Texas. The Canadian Antiquarian and Numismatic Journal, which published Brien’s declaration in 1908, states, however, that he had died “a few years ago.” In the absence of further details the first hypothesis seems more plausible. Information concerning the birth of Jean-Baptiste-Henri Brien is provided in an article which appeared in the North American on 4 Dec. 1839. BVM-G, Fonds Ægidius Fauteux, notes compilées par Ægidius Fauteux sur les patriotes de 1837–38 dont les noms commencent par la lettre B. PAC, MG 24, B39. Jane Ellice, The diary of Jane Ellice, ed. Patricia Godsell (Ottawa, 1975). L.-J.-A. Papineau, Journal d’un Fils de la liberté. [Jacques Paquin], Journal historique des événemens arrivés à Saint-Eustache, pendant la rébellion du comté du lac des Deux Montagnes, depuis les soulèvemens commencés à la fin de novembre, jusqu’au moment où la tranquillité fut parfaitement rétablie (Montréal, 1838). Report of state trials, 2: 548–61. “Un document inédit sur les événements assez obscurs de l’insurrection de 1837–38,” [F.-L.-G.] Baby, édit., Canadian Antiquarian and Numismatic Journal, 3rd ser., 1 (1908): 3–31. Le Canadien, 23, 25 oct. 1839. Montreal Gazette, 11 Oct. 1838. North American, 15 Nov., 11 Dec. 1839. Le Patriote canadien (Burlington, Vt.), 23 oct. 1839. Caron, “Inv. des doc. relatifs aux événements de 1837 et 1838,” ANQ Rapport, 1925–26: 235, 269, 275, 279; “Papiers Duvernay,” ANQ Rapport, 1926–27: 178–79, 182, 193, 201, 207, 209, 219, 221. F.-T. B[ègue]-Clavel, Histoire pittoresque de la franc-maçonnerie et de sociétés secrètes anciennes et modernes (3e éd., Paris, 1844). Fauteux, Patriotes, 141–43. L.-O. David, “Révélations faites en prison par le Dr Brien, le faux’ ami du noble de Lorimier,” L’Opinion publique, 24 mars 1881: 133–34; 31 mars 1881: 145–46; 7 avril 1881: 157–58; 14 avril 1881: 169–70; 21 avril 1881: 181. Jean-Paul Bernard, “BRIEN, JEAN-BAPTISTE-HENRI,” in Dictionary of Canadian Biography, vol. 7, University of Toronto/Université Laval, 2003–, accessed April 24, 2019, http://www.biographi.ca/en/bio/brien_jean_baptiste_henri_7E.html.